Dr. Manmohan Singh Scholarship 2019 will soon available to support the Indian students to pursue doctoral studies at St John’s College, Cambridge. Under this scholarship scheme, numerous of scholarships will be prized included Tuition fees, airfare, stipend, UK Visa. If you are also one of the eligible candidates then check the complete the eligibility criteria carefully apply online before the last date. The main objective of the department is to promote the bright Indian students who need financial aid to pursue a quality education. 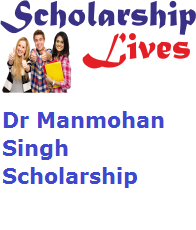 All the eligible and interested apply online for Dr Manmohan Singh Scholarship 2018 before the last date through the link which is mention below and checks the complete the notification carefully for more info scrolling down the page. Applicants must be the Indian citizen and attain a suitable Indian passport, currently based in India. There should be no previous important experience to UK education or receipt of UK government funding. Students who will be applying must pursue with post graduation degree in the applicable subject or field from a reputed Indian university/institution with good academic records. Applying contender must be fluent in English speaking. Moreover the Applicants should be able to fulfill further admission criteria if laid down by the University. Instruction to check the Dr. Manmohan Singh Scholarship? First of all, students need to visit the official website that is www.britishcouncil.in. The latest notification will then open on your screen in pdf format, and read it carefully to ensure their eligibility. Interested aspirants are then required to press “apply online” link. Next step is to upload the scanned copy of required documents, recheck the entered details and then press “submit” button.